Explore Carbon County’s rich history full of colorful characters, infamous outlaws and proud Natives. Follow the path of the settlers, miners, ranchers, and trappers who called this area home. History, legend and lore can be found in every corner of Carbon County. 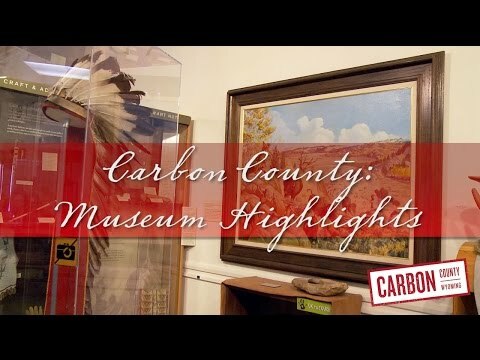 Start exploring the colorful history of Carbon County by visiting our unique community museums. Museums include the Carbon County Museum, the Saratoga Museum, Fort Steele, the Grand Encampment Museum, Hanna Basin Museum, the Little Snake River Museum, the Medicine Bow Museum, the Mormon Handcart Historic Site, Parco/Sinclair Museum, the Baggs Outlaw Stop and many other sites of historic interest. The Old Wyoming State Penitentiary in use from 1901 - 1981 is now listed on the National Register of Historic Places and offers hour-long guided tours that take visitors through three cell blocks, the cafeteria, the grounds and the Death House. Convolutions of Statehood inspired plans for a State Prison of Rawlins, just one score after the Civil War. Construction of the old prison began in the summer of 1888 and when great slabs of rock and sandstone were dragged from the Larsen Stone Quarry south of Rawlins. After 13 years of major funding problems, and extraordinarily harsh Wyoming weather, construction was completed and prisoners were moved from the territorial prison on December 12, 1901. Having served the State of Wyoming for over eighty colorful years the old prison was abandoned September 6, 1981 when the prisoners were transferred to a new prison located south of Rawlins. Free admission into the museum itself. If you are visiting Rawlins, Wyoming, you will definitely want to take a tour of this historic landmark. The tours take about an hour and cost $10 for adults & $8 for children & seniors. On your tour you will explore 3 cell blocks and the spooky gas chamber where unfortunant prisonors met their end. Hear stories of the Old Pen from executions and lynchings to brilliant escapes. These tour is not for the faint of heart as some say that the place is haunted. The tours are also pet friendly so you can bring your "best friend" on the tour with you. You will want to contact the Wyoming Frontier Prison staff for current tour schedules. There is also a gift store onsite where you can pick up souvenirs. Around Halloween the Old Pen offers special Halloween tours guaranteed to give you goosebumps! The Wyoming Frontier Prison is located at 500 W Walnut St, Rawlins, WY 82301. Tour Schedule: Every hour on the half hour - Summer 8:30 - 4:30 Tours last one hour. Hours of Operation: Memorial Day - Labor Day, 7 days a week off-season tours available by appointment. Carbon County Museum has exhibits highlighting the rich heritage of cattle and sheep ranching as well as mining throughout the county. Find Native American artifacts and cultural information. The Sweetwater one house school house is also on display. You will love the great displays in this museum showcasing Wyoming’s colorful past. The Museum contains photos, newspapers, files on various topics, manuscripts, justice dockets. Admission is free. The room in which the Museum is presently located was originally the First National Bank of Parco, Wyoming. The bank opened at 10:00 am on July 5, 1924 and closed on June 1, 1933 after transferring all business to the First National Bank of Rawlins. The next occupant of this room as the Parco Federal Credit Union. The Credit Union conducted their business for many years in this room, and it looks much the same as it did in the early 1920's. Beyond the inner door (that is now the town clerk's office) was once the Parco Mercantile Company, that sold groceries and general merchandise. Also, tucked in one corner was the Parco Post Office. All of the upstairs rooms of this building were the offices of the Producers and Refiners Corporation. The was one of the first buildings to be built and occupied. The name PARCO was taken from the first letters of the corporation name. (1819-1868) of the 20th U.S. Infantry. The fort was a supply point for expeditions against High Plains Indians and provided the force behind law and order during early Wyoming territorial days. A major event in its history was the White River Expedition of 1879. From the fort two companies, 28 wagons and an ambulance under the command of Major Thomas Thornburgh set out for the White River Agency in northern Colorado in response to a Ute Indian uprising against agent Nathaniel Meeker. Ambushed by the Utes, the party suffered 10 killed, including Thornburgh himself. In his famous night ride, scout Joe Rankin slipped through Indian lines and rode to Rawlins. The telegraph contact was made with Fort D.A. Russell, 150 miles east at Cheyenne, from which a force of 2,000 was dispatched under the command of Colonel Wesley Merritt. The close of the Ute uprising brought the beginning of quiet years to Fort Steele, although during the summer of 1885 soldiers were sent 100 miles west to Rock Springs in order to quell a riot against Chinese coal mine workers. The fort eventually lost its military importance as an era of Indian wars declined, and in 1886 it was abandoned. The Museum, which is located in the old Community Hall building, is listed on the National Registry of Historic Places. Originally constructed as a saloon in 1890, the hall has served many purposes in the Union Pacific Coal Company Town. Sharin the Front Street site is The Miner’s Cottage, a restored exemplary Two Town House. The Hanna Basin Museum is an active participant in the Carbon Cemetary Restoration and Preservation Project. The Museum houses the Carbon archive, resources revealing life and death in the first coal camp (1868-1902) along the original line of the Union Pacific Railroad. The Medicine Bow Museum is located in the old railroad depot, across the highway from the Virginian Hotel. The depot was built in November 1913, after a fire destroyed the original depot earlier that same year. The Union Pacific Railroad closed the depot in 1981, and it was deeded to the Town and placed on the National Register of Historical Places in 1982. In 1983, the depot became home to the Medicine Bow Museum and its colorful Old West and Local History Artifacts. The Owen Wister Cabin and Monument are located next to the museum. The cabin was used as Wister's summer home and winter hunting lodge in the Jackson Hole Area, and brought to Medicine Bow as a bicentennial project by the Town's Lion's Club. The Monument, made of petrified wood, was erected in 1939, as a tribute to Owen Wister and his book "The Virginian." A caboose, given to the Museum by the U.P. Railroad, is a reminder of the importance the railroad played in the past. The Owen Wister General Store, just South of the Museum, is the actual store building where Owen Wister slept on the counter upon arriving in Medicine Bow in 1885. Open daily during the summer months and hunting season, and part-time during the winter months. 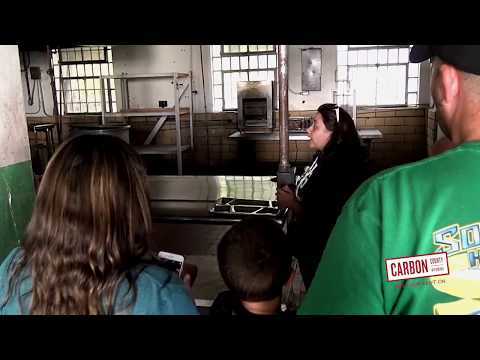 The Elk Mountain Museum is the newest addition to the family of Carbon County Museums. It has information on area history and a great display of military memorabilia. The Saratoga Museum is housed in the town's original c. 1915 Union Pacific Railroad Depot. The museum opened in 1980 and provides an opportunity to explore the Platte Valley. We also feature one of Wyoming's largest and best gem and mineral displays. Including our newest exhibit of Wyoming jade with hundreds of specimens. For others times, please contact us for an appointment. There is no admission fee, but donations are appreciated. The gift shop has a collection of books that include travel guides, pictorials, landscapes, hiking in Wyoming, Western novels, and books about the Union Pacific Railroad. Located in a quiet corner, the research library is warm and inviting. They have Platte Valley histories, Carbon County Territorial brand books, and audio and video living histories of local residents. In the summer enjoy outdoor concerts in the pavilion. The Grand Encampment Museum, located in Encampment, Wyoming, preserves history with its collection of over a dozen historical buildings filled with artifacts representing the timber, mining, and agricultural history of the Encampment valley. The Grand Encampment Museum is proud to feature the Bert and Vera Oldman research area. This area features old newspapers, family papers, funeral records, maps, and many photographs. This area is open during regular museum hours. Join us in July for the Grand Encampment Cowboy Gathering and Living History Day. The Little Snake River Museum is located in south-central Wyoming near the Colorado border in Savery. It was the Savery School for many years until 1972 when the Little Snake River Valley Schools were consolidated and all valley students were sent to Baggs. The school district then donated the building so that it could be used for community activities and later as a museum. This main building houses several exhibits including the Dr. Noyes Room and the John Terrill Room. There are several more rooms brimming with various items from the Valley's past. Also on the grounds are other buildings from around the valley that reflect the history of the community. The basement of the main building is used for community affairs and meetings. Outside is a barbecue unit and picnic tables. The public may use these facilities. Large tours or activities should be arranged for in advance. During their trek from Iowa City, Iowa to Salt Lake City, Utah, in 1856, members of the Church of Jesus Christ of Latter Day Saints in the Martin and Willie Handcart Companies suffered one of the greatest tragedies of early pioneer travelers to the West. Stranded by a blizzard in October and November 1856, the Martin Company huddled in a cove for over four days, seeking shelter from the snow and cold. While the company waited for rescuers from Salt Lake City, many people died from exposure and starvation. Exhibits record the tragic circumstances of this event. Overnight group tours can be scheduled and handcarts are available for treks to the cove. There is no admission charge and the public is welcome. Museum and visitors center is located by the Sweetwater River just off Wyoming Highway 220 near Devils Gate.